Have you ever wondered why your neighbors never seem to surface from their home, rarely have any garbage to pick up, always have the blinds down or windows covered, come and go at unusual hours, and never invite you over for a barbecue? These are some of the signs of a potential marijuana grow operation. With an estimated 50,000 grow houses in Canada*, there is increasing concern about health, fire, safety, and structural implications for home buyers. It’s imperative to know the signs and the associated risks with houses that were previously used as a grow house. What is a Grow House? 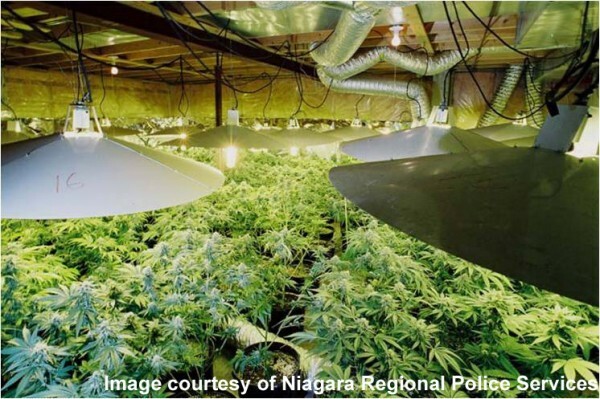 A grow house is a home that has been converted into a marijuana operation. Larger homes in quiet areas with unfinished basements are preferred, although grow houses can exist in any type of home or neighborhood. What Are the Signs and the Risks? 1) The electrical system is usually altered to power the hydroponic equipment. Operators may steal electricity by tapping into the electrical service before it enters the electrical meter, and bring power into the house through a hole in the foundation. This is sometimes visible near the electrical panel. 2) Additional circuitry is usually added inside the home to bring electrical power to the equipment, and operators rarely make sure that these alterations meet electrical codes. While these modifications can create a hazardous electrical situation, improvements can be made to ensure the electrical system remains safe for a potential homebuyer. Holes cut in the foundation wall can be repaired as well, but if not done properly, the potential for water leakage remains. 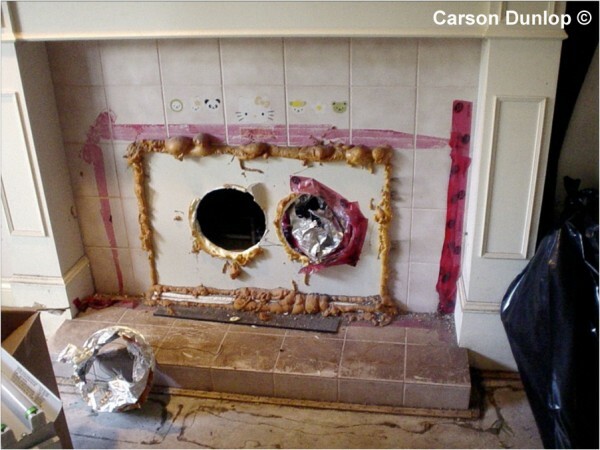 1) Fireplaces and chimneys which can be used as channels for removing excess moisture. Operators will insert metal liners inside the chimney to do this. 2) Structural elements such as floor and ceiling joists are sometimes cut to accommodate additional ductwork. The structural integrity of the home may be compromised by the combination of cut framing components and high humidity. Signs of high humidity are usually most visible in attic spaces, where the moist air is often vented. Darkening of attic surfaces is generally a good indicator that mold and mildew are present. Mold comes in many colors and may be visible and distinct. It can also be very subtle. 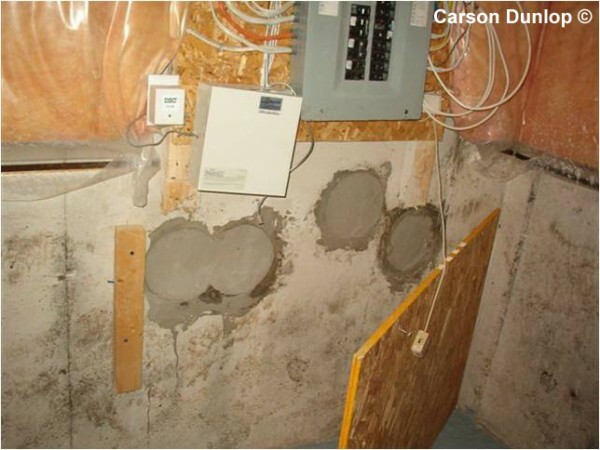 Surface mold may be the tip of the iceberg, with considerable mold concealed behind the wall. In other cases, the mold is only on the surface. The toughest situation occurs when the mold is not visible. Home Inspectors pay particular attention to intersecting walls and ceilings where air circulation is poor or areas that have been chronically damp or wet. The good news is that many grow houses are in operation for less than a year, which may not be enough time for mold to thrive and cause serious structural damage. 1) Painted concrete floors in the basement and walls that have been painted white to reflect light. Operators also use white paint to cover up evidence of where pots used to sit. 2) Screw holes and patches are often visible in the foundation wall where equipment was mounted above the floor level to avoid any water on the floor. 3) Multiple splices in the plumbing system may be present to nourish the crop. 4) Chemical odors may still be present as a result of the fertilizers and pesticides used, which can create health hazards through poor indoor air quality. While it is expected that realtors who are representing sellers or landlords of these properties should make every effort to ensure that all parties are notified of the potential issues, a Home Inspection can help quantify the severity of these issues. In most cases, with proper clean-up and some repair, these homes can be lived in without concern. In many cases, insurance companies may not issue insurance for homes that were formerly grow houses. By exercising good judgment and due diligence in obtaining proper information on the condition of the home, purchasers can rest easy knowing that with a little tender loving care, the home will provide the comfort and security they deserve. Carson Dunlop provides a continuing education course on grow houses should you want to better familiarize yourself with the signs of a grow house. Please view our Continuing Education section of our website for more information.